January is National Soup Month and a great time to make a large hot kettle of soup to warm you up and have ready for quick meals during the week. But with a big batch of soup, you should follow important food safety principles and procedures for cooling and storing it – to prevent food illness. Hot foods bound for the refrigerator or freezer must be cooled quickly for two reasons. First, a quick cool decreases the chance for harmful bacteria to grow, keeping your food safe to eat. Second, in the case of freezing, cool food will freeze faster, preventing the formation of large ice crystals that may ruin the flavor and texture of foods. One of the leading causes of foodborne illness is the failure to properly cool foods. 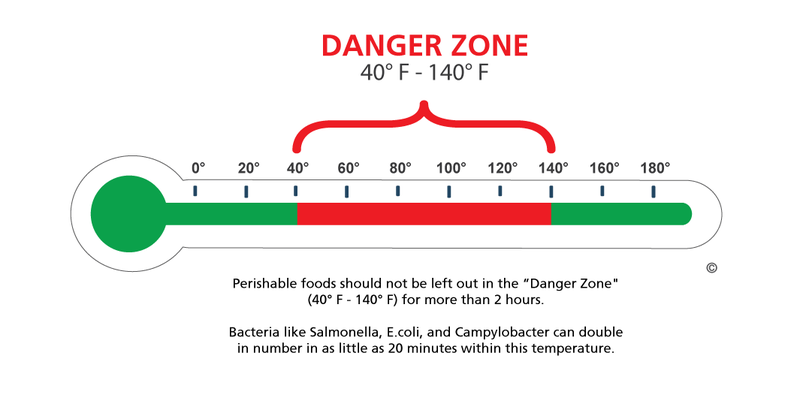 The food danger zone is that place between 40°F and 140°F where pathogens grow most quickly. Cool down from 70°F to 40°F or below within 4 hours. The initial 2-hour cool is the most critical time period since the food is passing through the temperature range that supports the most rapid microorganism growth. If food has not reached 70°F within 2 hours, it must be reheated to 165°F for 15 seconds, and then cooled again or thrown away. Start by reducing the size or mass of food by reducing larger food items into smaller portions and into smaller containers. Be proactive about cooling soup. When making a large batch of soup, plan ahead for the cooling method you plan to use. Begin your plan by having an accurate food thermometer to keep tabs on the temperature during the cooling process. Use ice water bath – An ice water bath is effective for cooling soups. This method helps decrease the food temperature quickly and safely. 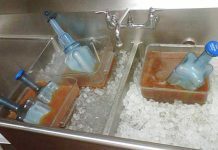 Fill a large container or clean sink with ice and a small amount of water. Place the kettle of soup into the ice bath. Stir the soup to release heat and aid cooling. 2. Use shallow pans – The smaller the portions, the quicker the cool down. Don’t leave a large pot of soup on the counter to cool before placing in the fridge. Separate into smaller containers, no deeper than 3 inches. Stir occasionally to aid cooling. 3. Use ice in the recipe – You can reduce cooling time by adapting your soup recipe. 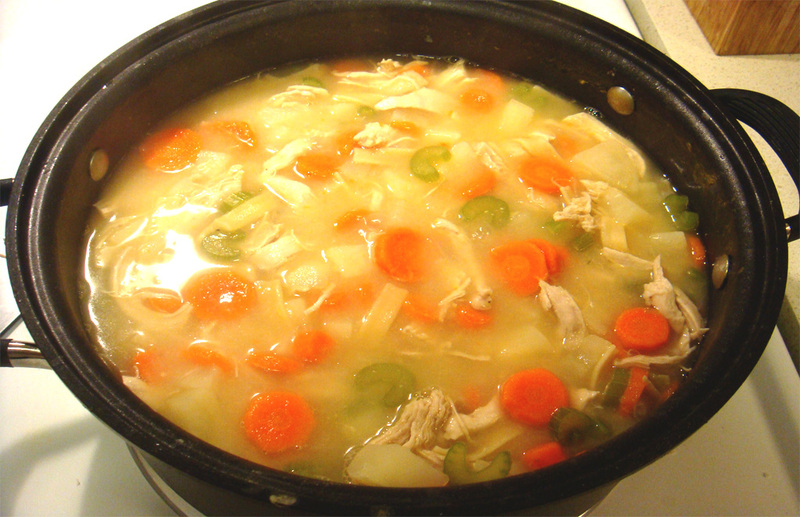 Prepare a thicker soup, reducing the original amount of water or liquid called for in the recipe. Add ice to the soup at the final preparation step. 4. Use cooling paddles – These are more commonly used in a commercial kitchen. The cooling paddle is filled with water and placed in the freezer. Stir the soup, in the kettle with the frozen chill paddle. 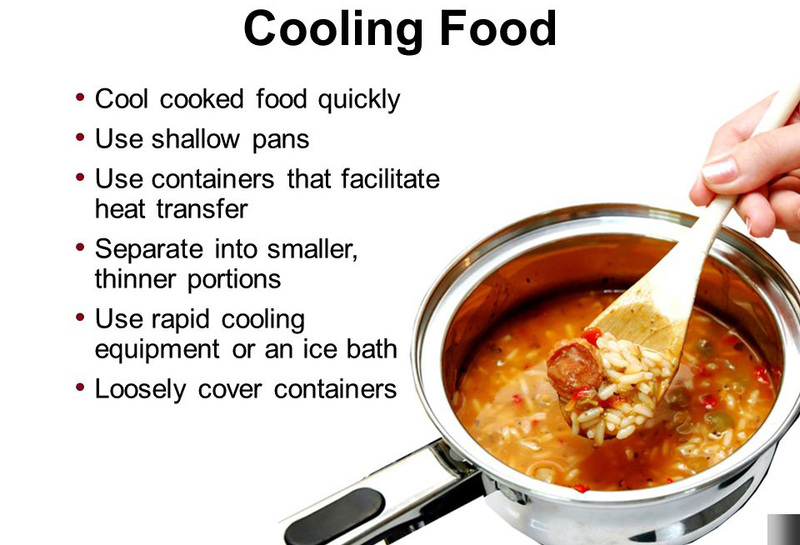 Once the soup is cooled to 70° F, by using a rapidly cooling option, you can place the container of soup in the refrigerator. Place on the top shelf. 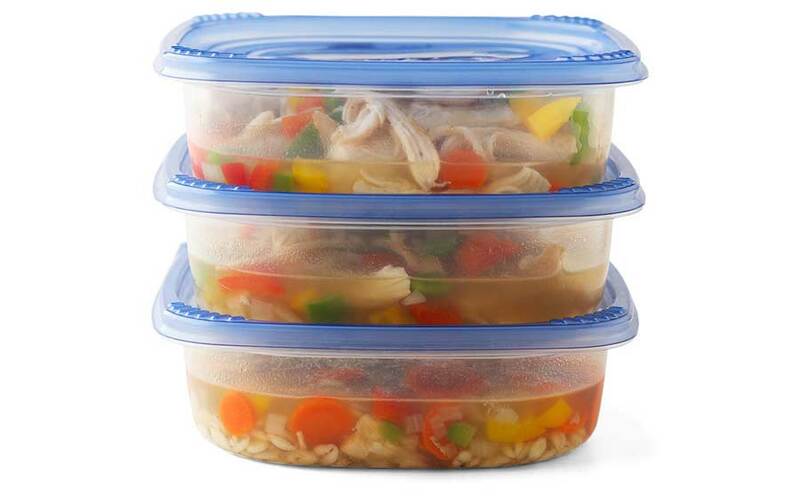 Leave uncovered until cooled to 40° F.
Consume or freeze leftovers within 4 days of preparation.